Product prices and availability are accurate as of 2019-04-21 11:35:46 EDT and are subject to change. Any price and availability information displayed on http://www.amazon.com/ at the time of purchase will apply to the purchase of this product. Your Introduction to Education, 3/e takes future teachers into an authentic classroom to empower them to explore content and classrooms, reflect on what they’re learning, and develop a sense of the kind of teacher they aspire to be. In these pages, readers discover whether teaching is for them and, if so, what they may be like as teachers tomorrow. 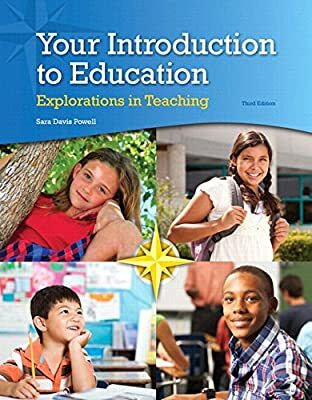 Here readers explore the concepts through the real-life experiences of 10 teachers and 12 students from four schools across the urban, suburban, and rural landscape of the United States. It’s a real-life demonstration of what teaching is really like through classroom scenarios and person-to-person interactions, both by word and through hours of video. Today’s current, relevant issues in education are discussed in engaging ways, and both the art and service of teaching and the science of teaching are presented in an accessible writing style that grabs and keeps students’ interest as they move through the concepts they will encounter in their own classrooms one day. The Enhanced Pearson eText features embedded video, embedded audio, and chapter review questions. Affordable. 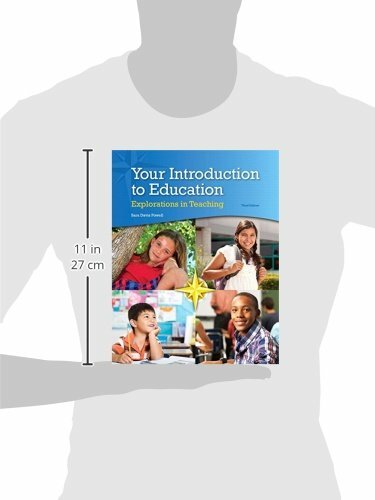 Experience the advantages of the Enhanced Pearson eText for 40% to 65% less than a print bound book.